Disney on Ice is Always Tons of Fun! 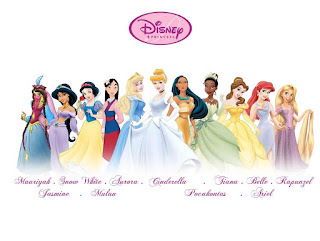 "Dare to Dream" is about Disney animated films "The Princess and﻿ the frog", "Cinderella",﻿ and "Tangled." At the end of the show, all of the princesses show up for the grand finale. "Get tangled up in the newest thrilling show to hit the ice, Disney On Ice presents Dare to Dream. Experience Disney's hilarious hair-raising escapade, Tangled; as Rapunzel, her unlikely companion, Flynn, and Maximus, embark on an uproarious journey that takes adventure to new lengths! Boogie to the beat of the bayou with Princess Tiana and Prince Naveen from The Princess and the Frog, in a magical, musical journey that all begins with a fateful kiss. And fanciful dreams become reality as Cinderella meets her Prince Charming, with a glass slipper fit for an unforgettable fantasy come true. All your favorite princesses take to the ice in a spectacular finale at the ultimate Disney Princess event of a lifetime! Experience the beauty. sparkle. and spirit when Disney On Ice presents Dare to Dream comes to your hometown!"